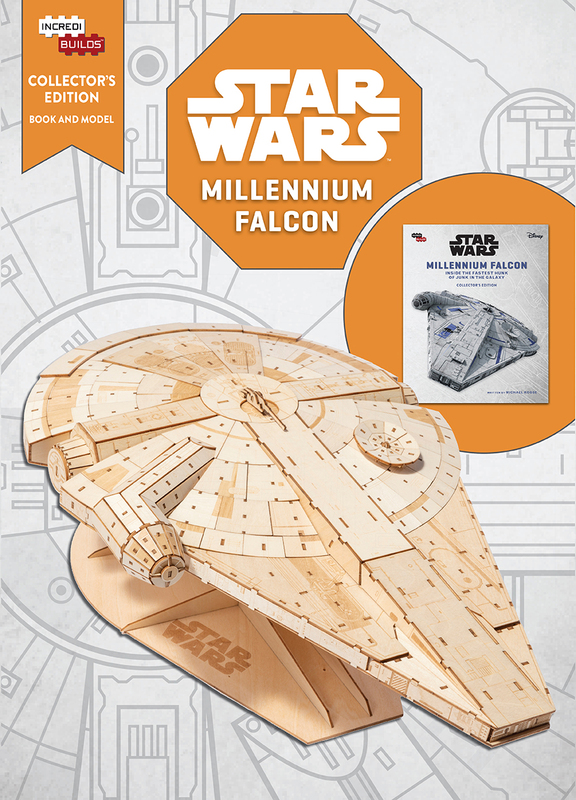 Build your own 18-inch model of the Millennium Falcon and learn all about the iconic Star Wars spaceship in this collectible IncrediBuilds book and model set. The full-color, hardcover book includes everything you need to know about the Millennium Falcon, from basic flight and weapons capabilities to its famous owners, notable battles, and behind-the-scenes secrets, including a wealth of previously unseen content. 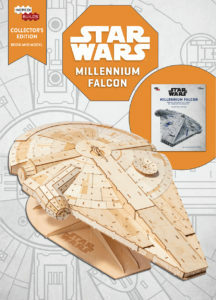 The collectible wooden model is easy to assemble and snaps together to form a stunning, displayable eighteen-inch version of this fan-favorite Star Wars spacecraft.